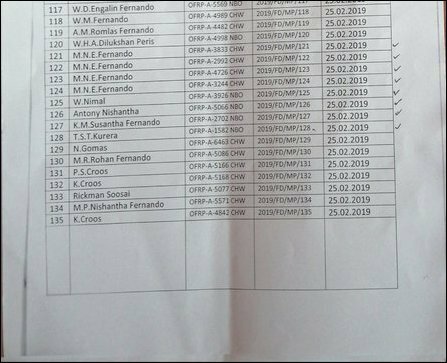 Occupying Colombo's Department of Fisheries and Aquatic Resources (DFAR) has recently permitted twenty-six migrant fishers from outside the Mullaiththeevu district to put up huts as season settler fishers along the Chaalai lagoon in Mullaiththeevu district. 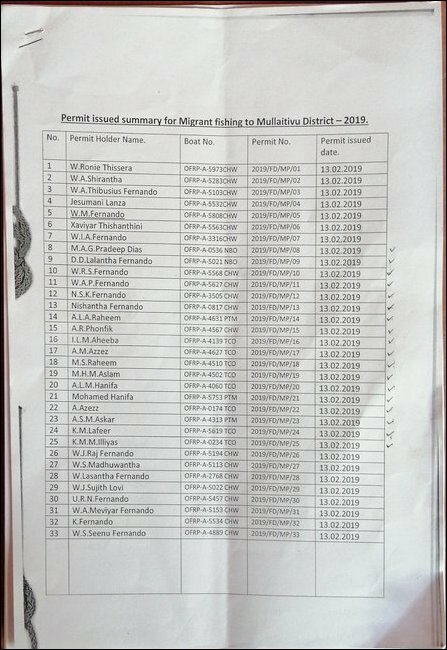 None among these 26 settlers are Tamils. Eighteen of them are from Negombo, Chilaw and Puththa'lam while eight are Tamil-speaking Muslims from Trincomalee, informed civil sources in Mullaiththeevu said. 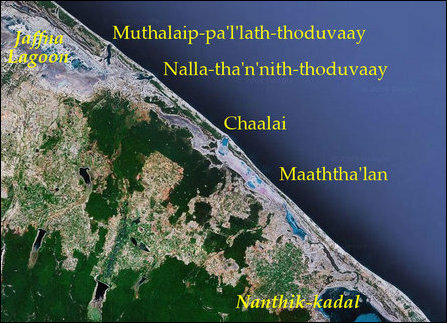 The scheme is going to be a Sinhala colony as the one in Mukaththuvaaram in Kokku'laay, Tamil civil sources said. So far, migrant fishers, based in Kokku'laay, used to reach Chaalai through the sea for fishing activities. Since four to five migrant fishers operate a single boat, the latest move has paved the way for a Sinhala colony comprising at least of fifty settlers, the sources further said. The occupying Sinhala navy plays a key role in setting up the colonies for the migrant fishers from the South. With the backing of the SL military and police the settlers in Mukaththuvaaram, Naayaa'ru and the seasonal fishermen operating in Vadamaraadchi East have often clashed with the native Tamil fishers in recent times. 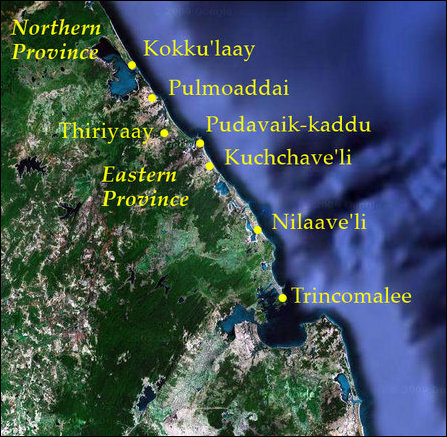 Chaalai, located north of Mullaiththeevu, was a stronghold of the Sea Tigers during the times of de-facto Tamil Eelam administered by the LTTE. 18.09.18 Vadamaraadchi East fishers besiege intruding poach..
16.09.18 Mullaiththeevu residents resume deity rituals afte..
06.09.18 SL Police instructed to clarify authenticity of le..
05.09.18 Sinhala colonists storm into lands south of Kokku'..
04.09.18 Tamil villagers lay siege to intruding monks, expo..
28.08.18 Vanni mobilises against structural genocide with a..
22.08.18 Maithiripala's ministry escalates Sinhala-Tamil co..
14.08.18 Arson attack in Naayaa'ru by intruding Sinhala fis..
13.08.18 Tension prevails in Naayaa'ru, intruding Sinhala f..
03.08.18 Tamil fishers continue to siege DFAR office in Mul..
30.07.18 Intruding engine boats destroy ecosystem of Kokku'..
30.06.18 Colombo accelerates delinking of Tamil-speaking de..
29.06.18 Sinhala colonisation chokes off territorial contig..
09.04.18 Fisheries society cautiously welcomes Court decisi..
06.04.18 NPC finally awakens against SL Mahaweli Authority ..
21.03.18 Colombo unleashes dangerous scheme of demographic ..
22.01.18 Sirisena declares war against Tamil fishermen of V..
17.01.18 SL Navy prepares Sinhala fisheries colony in Mulla..
15.01.18 Sinhala Buddhicisation stepped up in Kumpu'rup-pid..
03.01.18 Another stupa erected at controversial Buddhist vi..
14.12.17 Tamil journalists in Jaffna expose SL military den..
10.12.17 Sinhala policemen force Tamil journalists to delet..
06.10.17 Uprooted Tamils face ultimatum on proving land own..
29.09.17 Sinhala Catholic establishment continues to abet T..
28.09.17 Colombo rushes ahead with military land grab of Mu..